Cindy Dubin Ezzo has a birthday today. Beverly G. Bohnen Hudec has a birthday today. 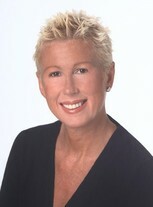 Debbie Glazer Timen updated profile. View. Frederick (Fritz) Seefeldt has a birthday today. Lawrence (Larry) Weissman has left an In Memory comment for Profile. I remember Jimmy fondly. He was a warm person who faced his challenges head-on. Susan Baruch has left an In Memory comment for Profile. Rest in peace, Jim. You were a beautiful soul. Marci Biel has left an In Memory comment for Marcia E. Levine. Ronald C. Taylor has left an In Memory comment for his Profile. I am saddened to hear of Tom's passing. It has been a very long time since we had last spoke, but I do have warm memories of Tom from high school. In particular, from Mr. Quail's 2nd yr physics class, as Mark has mentioned. I really enjoyed that class and the people in it. Tom was part of that. It sounds like he had rich life, in both family and work. That, at least, was good to read. My own mother died of cancer when I was a kid, and a dear cousin of mine more recently died of glioblastoma. I am hoping that the research that I am involved with in an immunobiology division will help in the clinic, eventually. I imagine that Tom would have allowed me to pontificate on my work if we had met - he was a considerate listener and friend <smile> My deep condolences and best wishes to Tom's family. Very sorry to hear this. Rest in peace. Brenda L. Fuote Pace has left an In Memory comment for Profile. Mark was such a nice person. Ironically, I was reminiscing about him just yesterday! When we were in high school, Mark, Cheryl Porris and I took a trip to the art museum, on a rainy day. Mark complimented me for appreciating the sound of the rain on the roof of the car. In reading his bio, it is not surprising that he gravitated towards the arts. His accomplishments are very impressive. I send my prayers and deep sympathy to his wife and children for this great loss. Vicki S. Linder changed profile picture. Robert Alan Myers posted a message. Bill Marshall has left an In Memory comment for Profile. I'm saddened to learn Jim has passed away. It has been several years since our paths have crossed but when we did run into each other (usually a business function) we always reflected on the great days of Roxboro Jr High and Cleveland Heights. Jim alway spoke of his family and how proud he was of them. I will think of him and his family in my prayers.